I will be doing a series of product reviews for BoxWave. The package of products arrived last week and I've just started to break them out and start using them. They sent me three to start with. 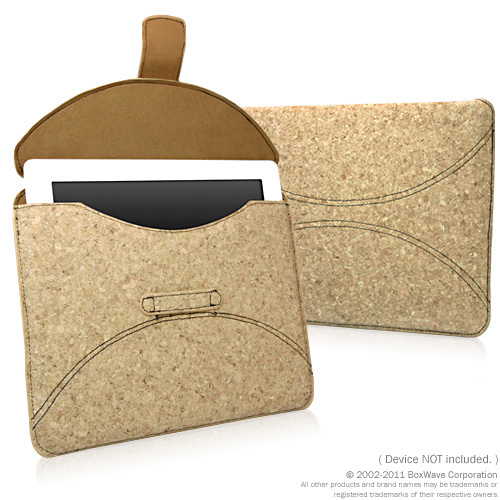 They are: TriConnect Mini DisplayPort adapter, Quorky iPad 2 Pouch and Trignetic Capacitive Stylus. I am not being compensated for these reviews and have an agreement with BoxWave to review them honestly and as fairly as I can. When the review process is finished, I will be giving them away through this blog and probably via Twitter and Google+ (don't ask about Facebook because I don't use it). My initial impressions go like this. Good: It looks very cool (several people have already commented on it's good looks), it feels good in the hand and the inside is very soft and protective. Not so Good: The closure mechanism (a flap slid under a sewn on tab) requires an awful lot of bending to make it go in, so much that I usually don't secure it this way. I just close the cover and carry it. And I'm not sure about how durable the case will be through use. Good: Way cooler than I expected, it feels good in your hand and the rubber bit is right where my thumb naturally rests. It also has a decent heft to it without being chunky. It makes using my iPad very fast and also keeps the screen much, much cleaner. 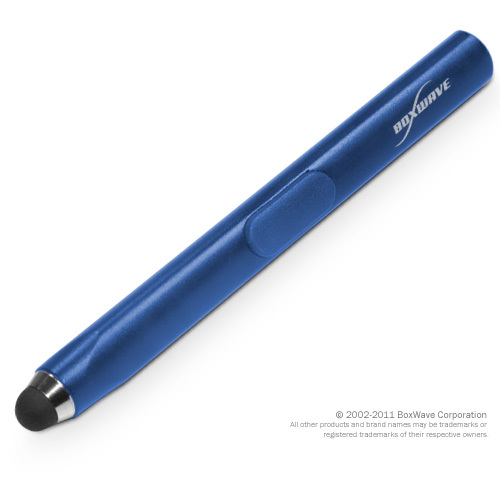 Not so Good: Unless you have a Smart Cover or other cover with a magnet in it, this stylus will not stick to your iPad. If there was a clip on the stylus to connect it to a regular cover then it would be much more useful and usable. Have not had a chance to deploy this for use yet. These are just my initial impressions and more complete reviews will be forthcoming. As well as how you can score one of the products when the review process has ended.